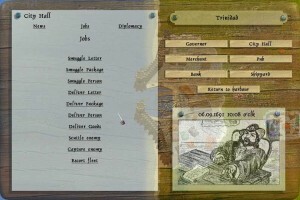 World of Pirates » Jobs and making gold. When you start out, it can be easier to make gold by picking the flotsam, that random floats at sea and then sell it in port. To pick up flotsam you need to press 2 or the key you choose for trade mode in options and then sail over the flotsam. Big pile of different flotsam is from a sunk ship, it will mainly have wood and cloth in it and some of the goods the ship had onboard when it got sunk. Big pile of big and small barrels is flotsam someone already has picked some off it. Three big barrels will contain low amount of food and rum. 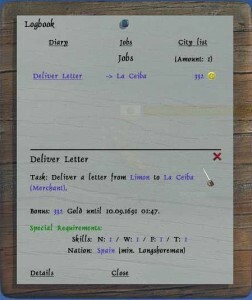 Five small barrels will contain low amount of gems, cigars and luxuries, which you can sell at high price in ports. Three small barrels will contain low amount of random goods, however none of the two above mention goods. 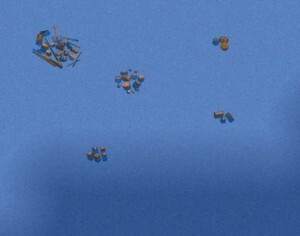 You can capture ships to sell, the amount of gold you earn on selling a ship, depend on the ship class, higher ship class give more gold. The sell price also depend on the ships amount of upgrades, especially armored ships gives you a high sell price. Your trade skill including your merchant specialist is also taken into count, when selling ship so that the higher skill you have, the more gold you earn. Learn all about making trade skill here. At all jobs, it is base skills, as special requirements. Having a specialist does not help you in being able to take jobs. If a job requires a title, it says on the job at what nation you need the required title. Learn all about titles here. Jobs you meet the requirements at, will have a green light at them and you can take the job. Jobs you cannot meet the requirements at, will have a red light at them and you cannot take the job, but you can click it to see what you need. The amount of jobs you can take depend on your navigation, however twenty-one is maximum jobs at once. To pick up jobs fast, you can click the job with curser and then use the enter key as accept, instead of clicking accept with the curser. To cancel a job, you do not desire to keep, you can use the right click menu under logs/cities and then press jobs, click the job. Here you can now click the red x to cancel the job. 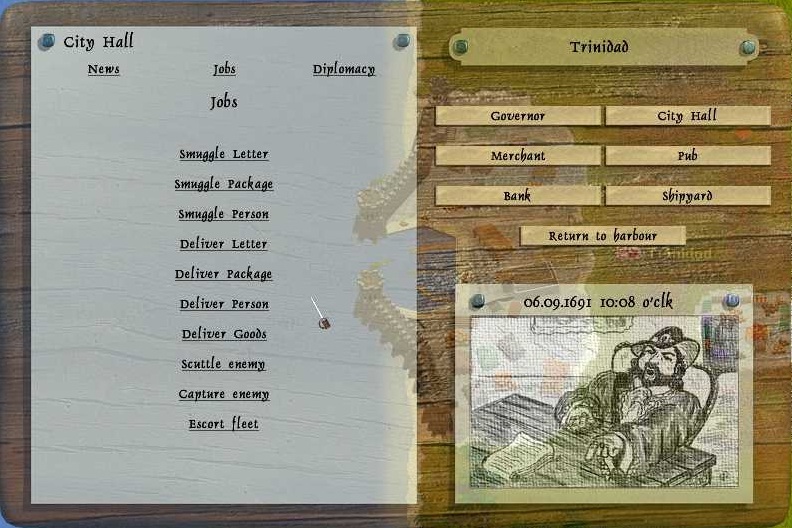 There are ten different jobs in world of pirates, you can find them in every city under city hall and then press jobs. Note that if you want to refresh the jobs, all you have to do is leave port and reenter it.